about beautiful lighting that makes me completely come undone. 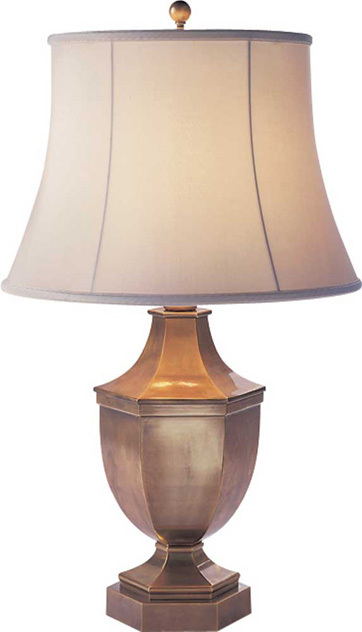 And when I see a stunning pair of lamps, well, I find it hard to catch my breath. Lately, I'm drawn to bigger, chunky lamps. And it has me longing to update the ones behind by living room sofa with something more substantial. See? I'm just not feeling these little ones anymore. Any of these beauties would do quite nicely. Sadly, they are either no longer available or have soaring prices. crazy enough to pay $900 for a single one. 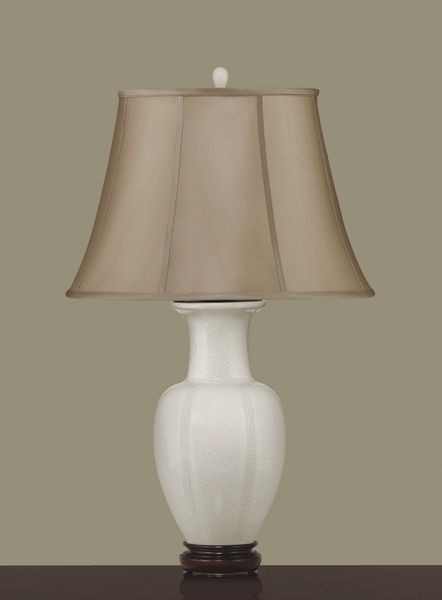 Chandeliers, maybe, but table lamps - NO WAY. I'm often reading about great thrift store and flea market finds. She seems to share a similar lamp loving affliction. 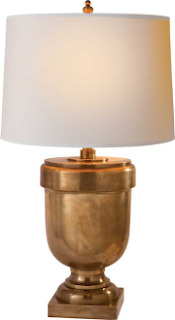 These designer girls just have a knack for finding the most gorgeous lamps. Like the new ones on Julie's foyer table. So perfect, right? Or the chunky glass pair, Alexandra just put in a client's home. Love! I love the top photo!! I so had the whole dangly bead thing on some lamp of ours too!! I got a chunky lamp at TJ Maxx for $50 recently. 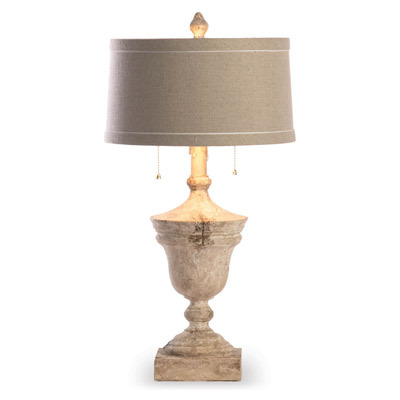 I love matching chunky lamps!!!!!! Bigger the better! :) I feel they do complete a room perfectly... Thanks for the shout out over at my clients home. The glass lamps that I used are from Pottery Barn. Great price & wonderful look. By the way I spy a blue & white ginger jar from the rustic rooster on your mantel. Gorgeous!!!!! Happy lamp hunting. Love your post today.... I also love lamps but never know how to hide the cords. But I do swoon over them especially lamp shades. Our house has a lot of recessive lighting and not enough table lamps. I struggle to hide cords. Any suggestions? Also your house is sooo inviting. Love picture number 3. Very cozy and pretty. Thank you for sharing. Have a nice weekend. Tessa your home is so beautiful and cozy!! I'm in LOVE with that gate-leg table of yours!! I agree that big chunky lamps would be perfect on your table! Maybe try Home Goods? I've only once scored a pair of amazing lamps in a thrift store. But they just make a room, don't they? I'm also into sconces and lanterns above and....OK, I'll stop. But I'm with you on the lighting. Is your mantle painted a light blue or green or gray? I love it. thanks, girls for your sweet comments! :) Tiffany - our mantle (and all our trim work) is gray -- BM Bennington Gray. The color is much lighter in our home than on the color deck. Not sure why. Hope all of you have a great weekend! 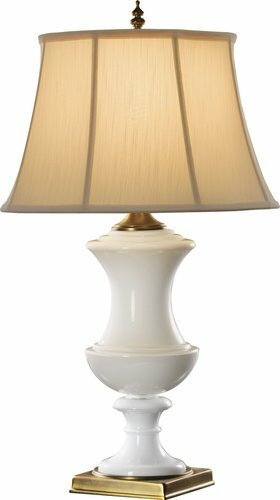 Rustic Rooster has a great tip about PB lamps! Cool! You could always troll eBay like I did. It's a sickness. I definitely am the girl who goes to fleas and whatnot hoping to find "the" perfect lamp a la Circa (because HELL no do I want to pay $300 on a single lamp). It hasn't really happened to me yet, but I keep on truckin'! Do you have a HomeGoods near you? 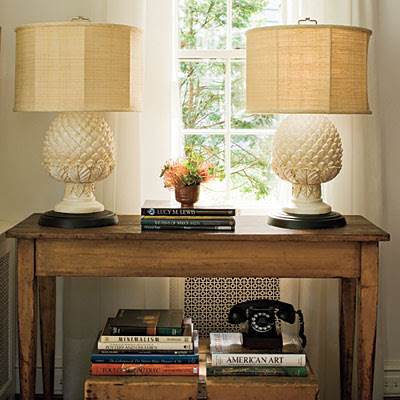 They've had a pretty awesome collection of (inexpensive) chunky, chic lamps lately. Happy Weekend to you!!! Btw, love you table (we have the exact same one)! Thanks for your comment on my post! 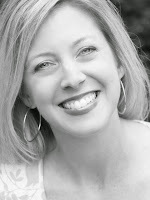 Glad to discover your blog....I'm on a lamp hunt myself for our bedroom! Love those lamps! This first pic is my fave! I agree with the other ladies, check with HomeGoods or your local TJ Maxx. Do you have any cool antique shops nearby? Such great inspiration. Good luck. 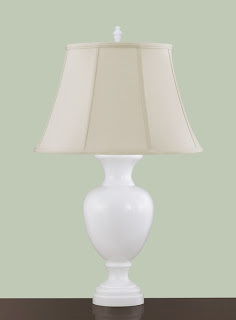 The white ribbed gourd lamps are so pretty. I agree with Kat above. Check out Home Goods. You are so sweet. Pop over to say hey and see my own home over here! Your home is amazing. Can we see more? 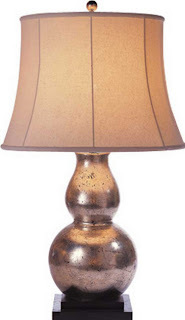 I have a lamp fetish! I can't get them out of my system! When I see a great one, I either text it to a friend or buy it and hope someone will want it (for the price I paid) just because I can't stand to walk away from a good one! Crazy...I know! Love the lamps in the first photo! 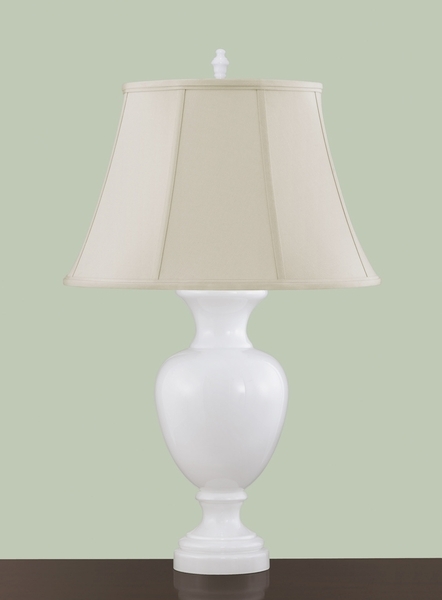 Lamps can do so much for a room - and by the way, your living room is beautiful! I LOVE lamps too! Try shopping at Goodwill or Salvation Army Thrift stores, T. J. Maxx, Marshalls, Big Lots. 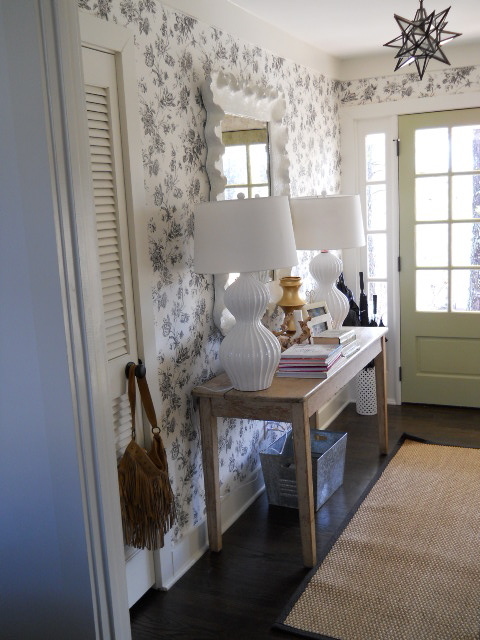 where can i find the lamps from the foyer?? love them!